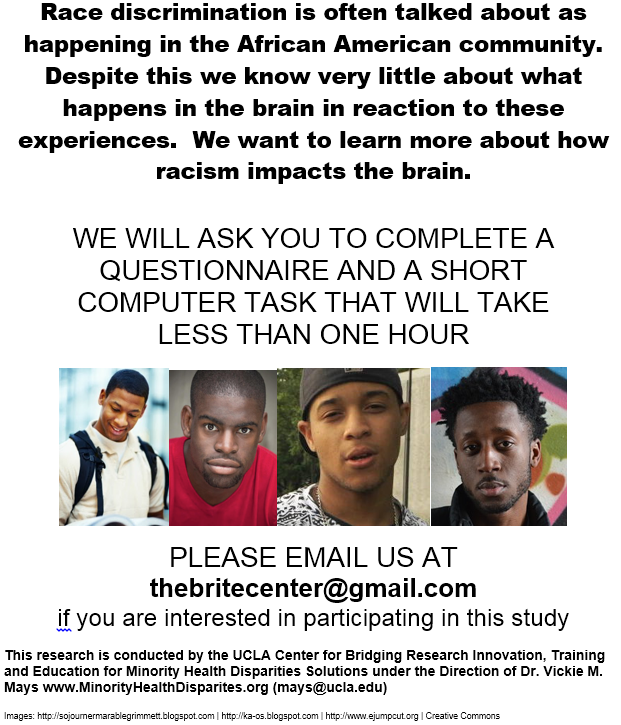 The UCLA BRITE Center is seeking African-American males ages 18-30 to helps us learn more about what happens in the brain when someone treats you badly or unfairly just because you are an African American male. Participants will fill out a questionnaire and perform a short computerized task and will receive $20 in cash as a thank you. If interested, please send us an email to the with your name and contact information.